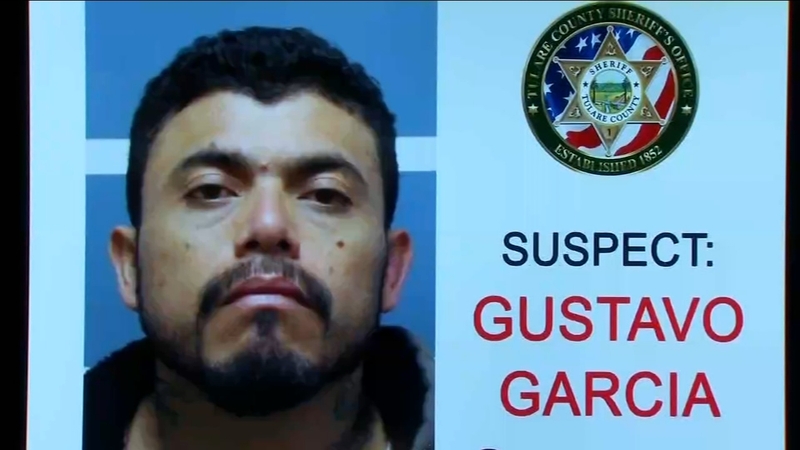 FRESNO, Calif. (KFSN) -- Tulare Police say the man who went on a crime spree, killing two people before dying in a car crash, stole his ammunition from a Tulare Walmart on Sunday at 12:30 p.m. That's just before Gustavo Garcia's 24-hour crime spree throughout the South Valley. Walmart employees notified police of the theft, but surveillance video did not show the crime. Three boxes of 9mm ammunition were missing, each holding 100 rounds, employees said. A witness came forward following the coverage of Monday's shootings and police chase identifying Garcia as the man he saw stealing bullets in Walmart the day before.